According to the NAR’s 2018 Buyers and Sellers Report, 45% of people who purchased a home in the United States recently used open houses to find their dream home and in countries like Australia and New Zealand, open homes are expected. A successful open house is a great way to draw in the right buyer and get your seller top dollar for their home. Today we’re detailing 7 open house tips for realtors that can help you prepare for your next open house to make it a raging success. 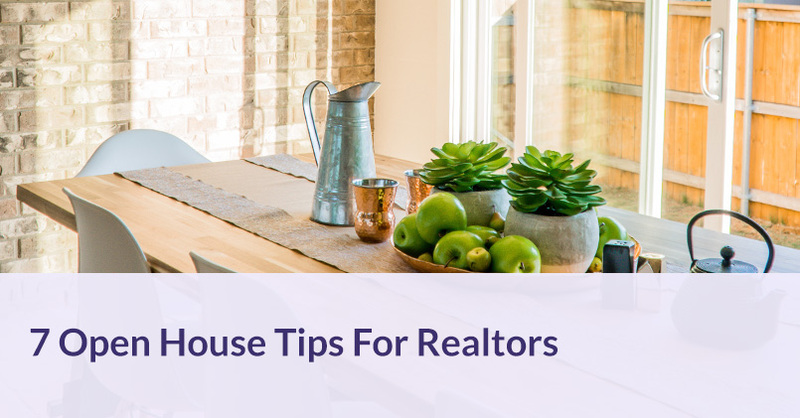 Before you even schedule your open house, sit down with your sellers and talk to them about things they can do to make their open house a success. Make sure that you explain that addressing these things will not only help get their home sold, it will also potentially improve the offers they receive. It’s ideal for repairs to be done before you put the home on the market and host an open house. Even little things like paint touch-ups and shabby fixtures can make a big difference in how potential buyers view the home. This is a perfect time to add a little curb appeal, as well. The way that the home looks outside will help draw open house guests to see the inside. A fresh coat of paint on the front door in a trendy but not-too-crazy color or new landscaping are perfect ways to make the outside of a home more welcoming. Most importantly, ask clients to make sure the yard is nice and tidy. Staging is critical for helping buyers see what a house could be to them instead of what it is to its current occupants. It’s best that personal effects are removed, that all areas of the house appear clean and uncluttered, and that the furniture layout showcases the space. The house will ideally smell nice for the open house, as well. Get there a couple of hours early and air out the house if possible. Also, ask your client to avoid artificial scents and opt for natural alternatives like essential oils in a diffuser. As a realtor, it’s your responsibility to keep your client’s home (and the items inside it) safe while you’re showing it. Make sure that you have taken reasonable precautions before you host an open house. It can help keep you and your client’s home safe. What this means will depend on several factors. How hot is the market in your area? What’s the weather like? What kinds of events are going on in the area? Really think about how you can choose a day that likely to draw a crowd. Some agents find that scheduling an open house on the same day they officially put a property on the market after a concentrated marketing campaign that builds suspense is a great way to get people in the door. The invitation itself can go a long way towards a good turnout and is one of our top open house tips for realtors. You’ll want to design an eye-catching, shareable invite, then make sure that you spread the word effectively. The first step for successful listings is great photography, and you can use those images for your open house invitation, as well. Make sure to include a photo that presents the outside of the home in its best light and add in photos of the most stunning areas of the home. 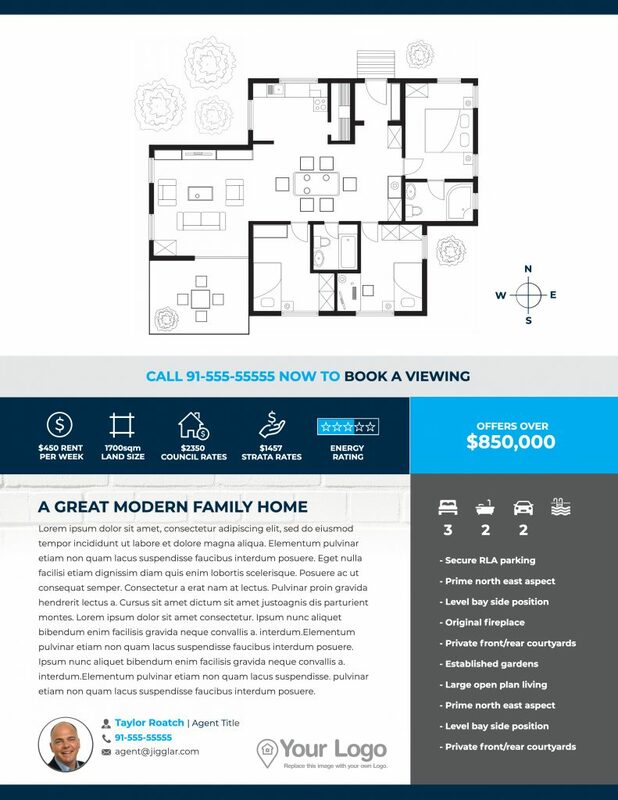 A great layout is critical when creating a successful open house invitation. Opt for a format that isn’t too cluttered but includes enough information. Make sure that it allows you to showcase your best photos of the home to woo potential guests and their agents. 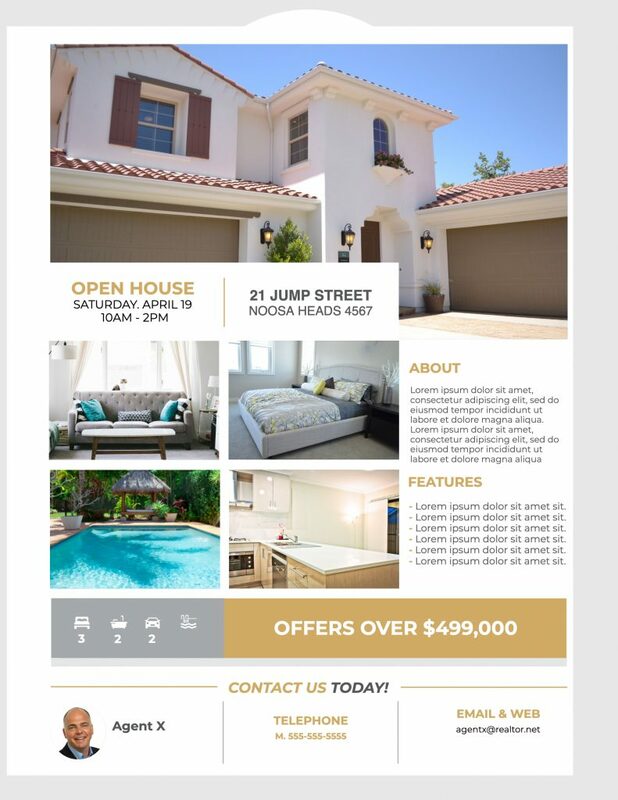 There are several open house templates on Jigglar that you can use to create the perfect open house template. Just drop in your listing photos, information, and customize however you like. You can change any of Jigglar’s templates to better suit the home or your brand. Everybody loves snacks. Carefully curated food and drink selections can help give potential buyers a homey feeling. You might opt for seasonally appropriate foods like cute little tree-shaped cookies at Christmas or lemonade for hot, sunny days. Simple, one bite finger foods that have a pleasant aroma are great. They add to the comfortable vibe without a mess. Make sure that the snacks are not messy and avoid things that can cause serious stains like red wine. Nobody needs the prospect of a ruined rug hanging over their head while they try to be relaxed and welcoming. It can be easy to get bored and check out mentally at an open house. Sometimes they’re downright boring. You must avoid it, though! Lack of vigilance can lead to missing potential leads and putting your client’s home at risk. Avoid your phone or computer, and make sure that you exchange pleasantries and appear available to take questions. Try not to let guests walk through the home alone, and if you wind up with multiple groups in the home at once, turn to your open house buddy (see security above) to either entertain a second group while you show the first round or provide a tour. This is important for both security purposes and for lead generation purposes. As soon as a new visitor walks in the door, ask them to sign in. Add a bowl of small candies on the sign in table to help draw guests to it, and don’t forget to leave several copies of your card next to the guest log. Check out this piece on Jigglar to see how you can use an open house feedback form to help qualify leads and get feedback on your open house, as well. A sign-in table is a great place for you to put brochures that outline the properties features, list price, and showcase the beautiful photography that you’ve commissioned (or taken yourself). 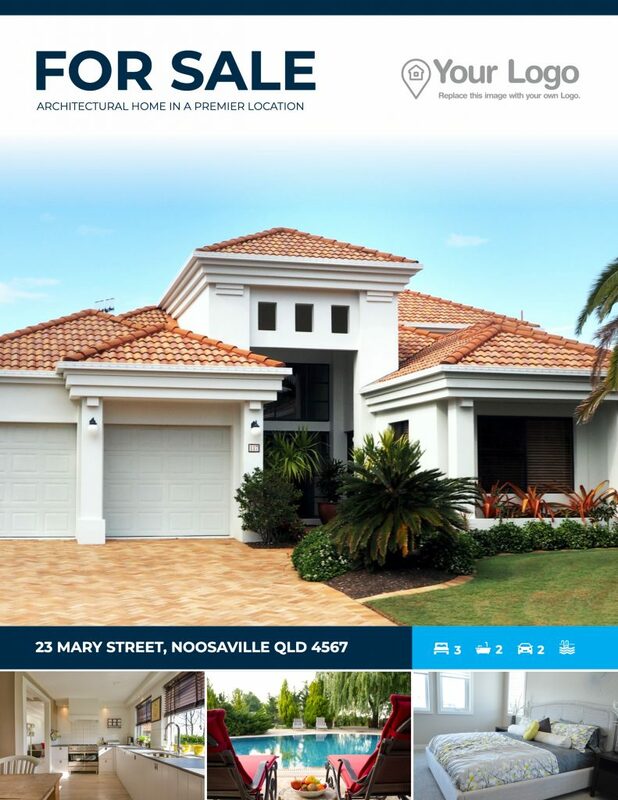 You can create visually stunning brochures from Jigglar’s “Just Listed” templates with very little effort! It can be overwhelming to shop for a house. Especially when you see several homes in a short span, they can start to run together. These brochures help potential buyers to remember the home. They may find themselves showing their brochures to friends or family members to get feedback or advice on making an offer, so make sure that your pamphlet shows the home in its best light. When you host an open house, make sure that you plan it with that specific home in mind, and don’t forget to add your own special touch, as well!